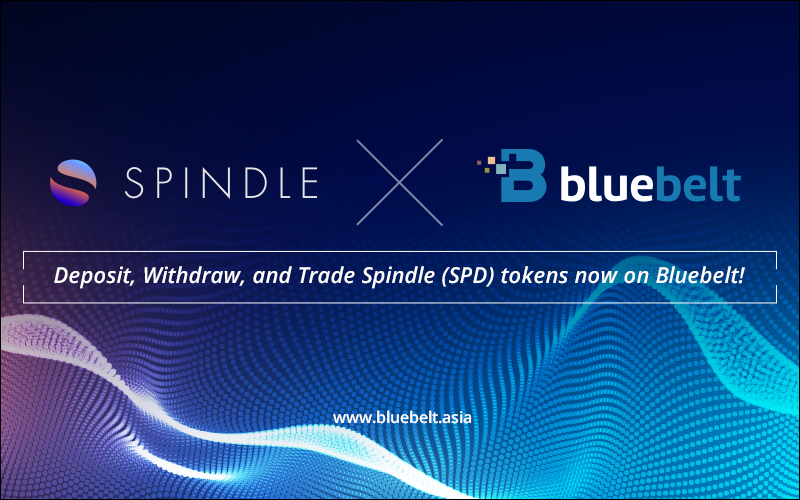 We gladly announce that users can now deposit, withdraw, and trade SPINDLE (SPD) tokens on Bluebelt! The SPINDLE token (SPD) is the native utility token if the SPINDLE blockchain-based investment and asset management platform. The platform functions as a gateway to a slew of custom-made investment options that are fully transparent. The SPINDLE team wants to create a comprehensive platform where everyone can proactively invest regardless of the users’ prior investment knowledge. Users will be able to track fund managers’ plans, performance, and history through the use of blockchain technology so customers can choose the best among them using the available information. SPINDLE uses the ZETA function to qualify investment behavior of users and operators. It is categorized into four stages: Monitoring and Reporting stage, Unique Distribution stage, Distributed Credit Scoring stage, and the Credit Autonomy stage. Fund managers in the SPINDLE platform are incentivized to offer only the most reputable investment advice and analysis to push the value of the network and its token.